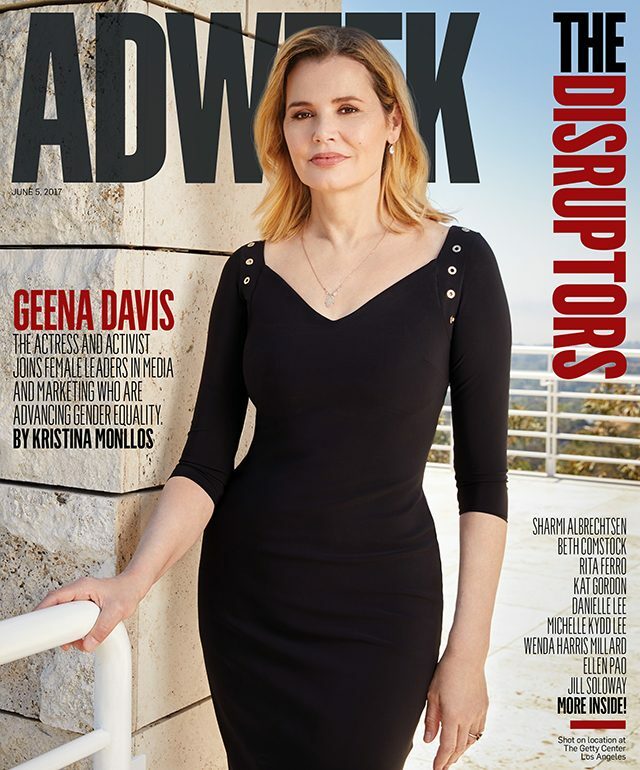 Geena Davis founded the Geena Davis Institute on Gender in Media over a decade ago. Don’t ask Geena Davis about role models. At least, don’t ask her about female role models on screen. The Oscar-winning actress turned gender-equality activist wants more women in movies and on television playing scientists, engineers, lawyers, CEOs—all of the jobs that women have in real life—but please, if you do anything, make those characters interesting. In Davis’ view, treating female characters solely as role models means they can end up wooden and humorless—which inevitably leads to fewer of them. “Who wants more stiff, strong female characters when what you need is really colorful, flawed, messed-up, interesting female characters—just like male characters are?” says Davis. Davis has been busy working to better the way women are represented on screen for over a decade with the Geena Davis Institute on Gender in Media. She regularly meets with Hollywood executives and now ad agencies like J. Walter Thompson and brands such as Ford to talk about how they can change their own media for the better. She also just wrapped up the third year of the film festival she co-founded, the Bentonville Film Festival, based in Bentonville, Ark., which works with brands like Coca-Cola and Walmart and highlights stories created by and about women and other diverse voices. And on the particular day that Davis was interviewed by Adweek in mid-May, Google decided to promote its work with Davis’ institute—the tech giant helped create software that measures screen and speaking time for women, which it calls the Geena Davis Inclusion Quotient, or GD-IQ—on its search homepage. Here, Davis shares her thoughts on gender in media, her role on Fox’s TV version of The Exorcist, and if she’d run for public office. Davis wants more women on screen playing scientists, engineers, lawyers and CEOs. 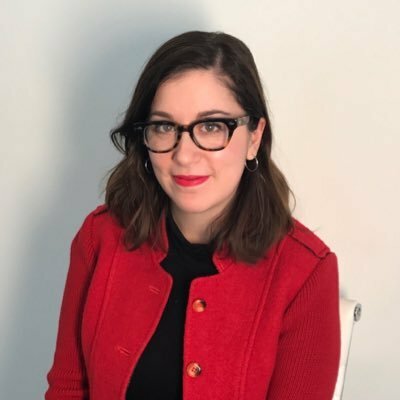 Adweek: When you signed on to do Fox’s The Exorcist last year, were there any negotiations about trying to make sure that the cast or crew was diverse? Geena Davis: They knew in hiring me what I had been working on and were very aware. There were three important female characters and three male characters [in the cast], so that was nicely gender balanced and they did their absolute best to get female directors. They were very passionately interested in gender and diversity, the creators, so I felt really good about it. The show was recently renewed. Are you in the next season? I imagine the story will be moving off of my family. You’ve been trying to up the female quotient in Hollywood for the last decade. What’s been the response? When we share the data about on-screen representation of female characters [with people in the industry], how there are so few [and how they] do so little [onscreen], they are shocked. We have yet to leave a meeting where at least one person hasn’t said, “You just changed my project.” So we’re very, very optimistic, and every studio asks us to come back. Now we have the [GD-IQ] tool [to] analyze [their] scripts and pilots and other things. So we feel a very, very positive vibe. Why share data about the gender gap? The best use of my personal resources is to try to effect change in a wholesale way. It’s very nice when movies come out starring women; it’s wonderful when they are giant hits at the box office. And it does happen regularly, but there’s never any momentum. I’ve been keenly aware of this since Thelma & Louise when all the press predicted “This changes everything” in capital letters. And then my next movie, A League of Their Own, [the press thought,] “Now this changes everything. Now we’re going to see so many sports movies with women and prove once and for all…” And nothing. Name all the women sports movies since then in the last 25 years. It happens over and over. But it still hasn’t changed; the ratio of male to female characters in film has been the same since 1946.